Young people of all ages engage in service projects in their communities, an experience they share with others across the nation. 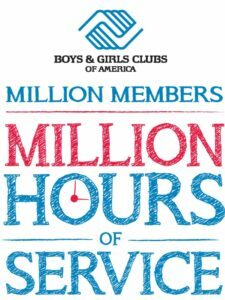 Each year, the goal is to engage 1 million or more youth, with each donating at least an hour of their time. Benefits of this program include learning about others in need, developing compassion and being around — and becoming — active, positive role models. Boys and girls age 11 through 13 participate in small groups, where they learn about and demonstrate leadership and service. 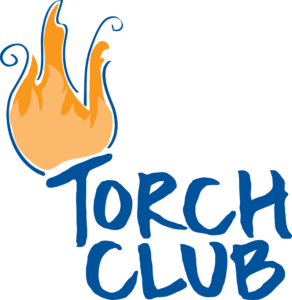 Torch Clubs let staff and volunteers work closely with adolescents at critical stages to develop strength of character. Keystone Clubs let youth customize their participation with Boys & Girls Club organizations. Kids age 14 through 18 can take part in community service, career preparation or academic success projects; they participate in numerous events both in and out of the Club environment as learning initiatives and to positively impact their communities. Adult advisors guide teens through these growth opportunities. Career and community exploration program. Weekly visits in summer to cultural, economic, historic and governmental landmarks in our community, including public safety offices, government offices, the airport and places of industry. Club currency earned by quality homework, club chores, providing reading/homework help to younger members. Receives deposits of Club Bucks, earns interest, issues withdrawals of funds. Items donated by JoAnn Fabrics, Kohl’s, and private donors for purchase with Club Bucks, “staffed” by members through a resume submission and interview process. Kids age 10 through 18 can participate in this recognition program, which aims to foster leadership, compassion and effort among young people. To become our Youth of the Month, members must earn top-level points and exemplify model behavior and leadership all month. At the Youth of the Month ceremony each month, our Executive Director and staff award the winner with a certificate and a prize to encourage fellow Club members to strive for greatness!